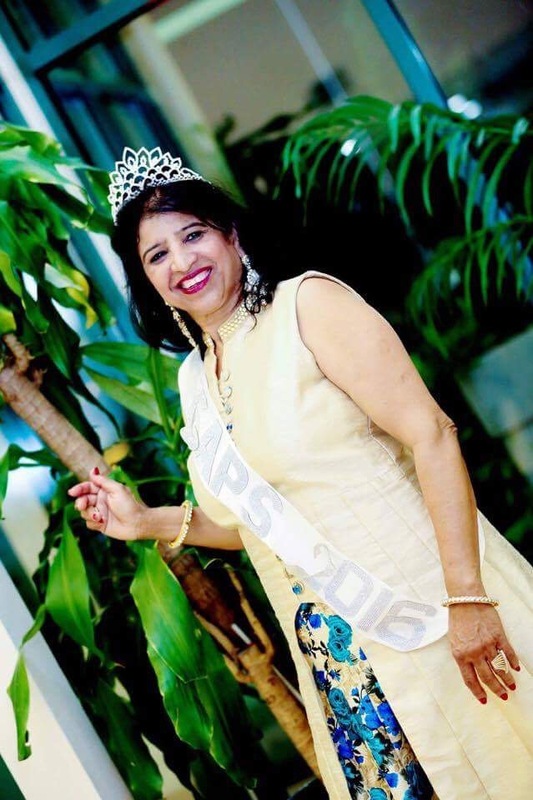 Atlanta, GA, August 1, 2017: In a spectacular beauty pageant held at the Amari Hotel and Resorts in Pattaya, Bangkok earlier this year, well-known community activist Kamlesh Chugh won the much coveted Mrs. India International Inspirational Queen award. Milestone Miss & Mrs. India International beauty pageant events are well known for providing a platform to Indian women internationally where age is no barrier. Pageant contestants gather from various countries around the world. Kamlesh Chugh was born and raised in Sonepat, Haryana, India. She took up nursing training and worked in Delhi prior to moving to the United States in 1983. Chugh is a well-known name in the Indian community in the Atlanta metropolitan area. She has been an office-bearer for several organizations and is a prolific and enthusiastic participant in many cultural, social and religious activities in the community. 1st runner up in the Mrs. India International Beauty Pageant in 2010 held in Atlanta, Georgia. Participant in the Mrs. India Georgia Beauty Pageant in 2016. Recognized for her contributions as a relentless volunteer at the Indian Friends of Atlanta (IFA) Women’s FEST in 2017. Kamlesh is a prolific and proactive participant in various activities including dance, drama, festivals, Mushiara & poetry. She is actively involved with a number of socio-cultural clubs and organizations.